Surrender at 20: Red Post Collection: Bloodline, Shurima Story Podcast, Dynamic Queue & Future of LoL update, and more! Red Post Collection: Bloodline, Shurima Story Podcast, Dynamic Queue & Future of LoL update, and more! Tonight's red post collection includes the new Shurima story BLOODLINE, a podcast with Rioters behind the Shurima story event, an update on Dynamic queue and the decision not to bring back solo queue, a new LCU Alpha changelog, Meddler on Shaco's passive visual indicators, info on the upcoming champion shards for IP, & more! Red Post Collection: Ask Riot #2, Definitely Not Dominion on Friday in RGMQ, LCU Architecture Dev Blog, and more! Riot has published an update on Dynamic queue, including an article and video discussing problems they've identified, upcoming fixes and changes, and confirming they will not be releasing a dedicated solo queue. With the introduction of dynamic queue, we alienated a portion of League’s passionate player-base who believe a ranked competitive experience should be limited to a solo (or duo) endeavor. We agree dynamic queue standings don’t reflect pure individual skill as well as a solo ladder, but they also don’t inhibit competitive team experiences, and that’s a trade-off we want to make. After considering all possible options and assessing the gains (and losses) of dynamic queue over the last five months, we've made the decision to not bring back solo queue. While we’re committed to dynamic queue, we know there’s still a few problems we need to solve. We highlighted the most serious issues and what we’re doing about them in an open roundtable discussion you can watch here. Below, we’re covering the data behind the problems as well as expanding on some of the answers presented in the video. 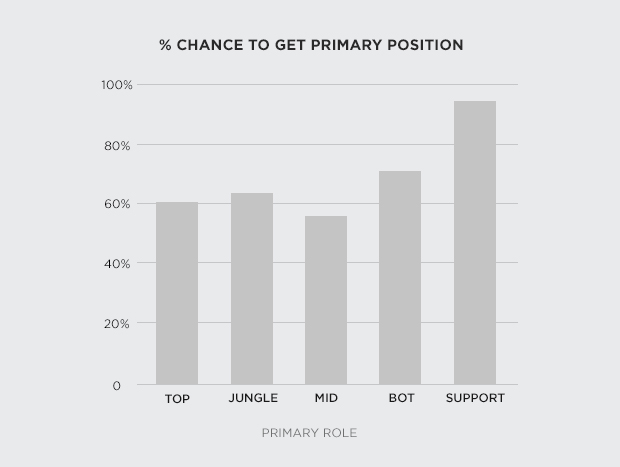 Position select isn’t sufficiently prioritizing primary roles and we’re working to improve how it does so.You should get your primary position more often whenever possible. Right now, a support main has a 95% chance of getting his role, while a mid main has only a 55% shot at getting hers. Different combinations of roles also vary quite a bit. For example, if a mid main is a support secondary, she’ll end up mid only around 16% of the time. Over the next few days we’re rolling out a few adjustments to tackle this problem directly. We’re increasing the likelihood you’ll get your primary role, and we’ll continue working to improve this. We’ll be adjusting premade handicaps further to even the playing field between premades and non-premades. We know we can guarantee reasonable matches for almost all players, but elite MMR has such unique issues we need to make changes specifically to the highest tiers to account for the differences. 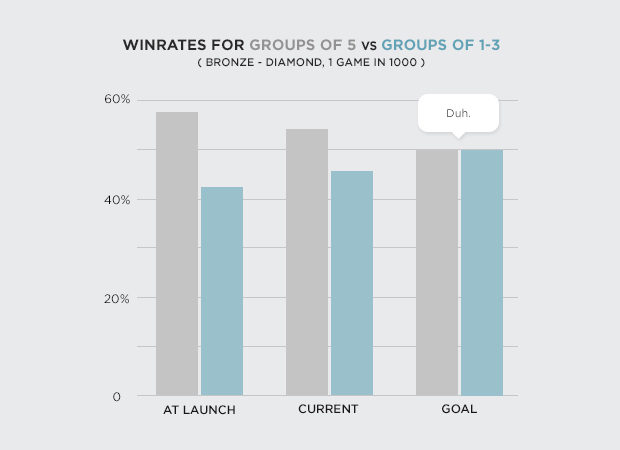 For example, because mismatches are much more common and much less fair at high MMR, we’ll limit the roughly top 1% of MMR (Diamond 5 or higher) to solo, duos, or trios. League is a team game, and we want dynamic queue to work for every player who wants to compete, but we’re admitting how impossible it is to find fair matches when fully-coordinated professional teams like SKT are out there lurking in the queue. We’re currently considering enabling 5s for Diamond and above during specific peak hours on certain days of the week--when more players are in queue to make matches. We want to improve things now. We’re also still looking for and working on better solutions. It isn’t only match quality that varies wildly at the top compared to the rest of the ladder. We recently made some behind-the-scenes adjustments to how the matchmaker works, bringing average queue times for high MMR down to 17 minutes (from spikes as high as 30). We still don’t think that’s good enough, but we’ve exhausted our leading options for addressing queue times via this type of algorithmic or other backend tinkering. 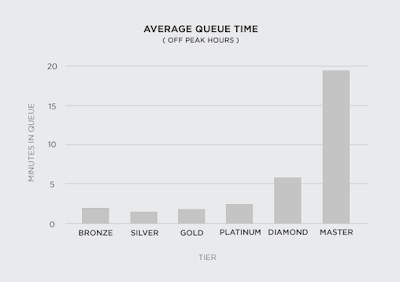 Position select combined with the smaller player pool at elite MMR is causing long queue times at the highest tiers. We’re going to intentionally make a trade-off here: Scale back on guaranteeing specific roles in order to better ensure high quality matches get made in a reasonable amount of time. To address position shortages, we’re adding an autofill mode that can trigger when queue times are too long. If players enter queue with excessive estimated wait times, the matchmaker will potentially assign them a role other than the two they selected. The matchmaker will continue to optimize for primary and secondary positions, falling back to fill only when necessary. We’re looking to minimize the number of players that’ll end up filling, but it will happen most often at highest tiers. We know the dynamic ranked experience has been painful for the highest skilled players for the last few months. We remain focused on improving it and agree the current state is unacceptable. The video and this wall of text is another step we’re trying to take towards more clear and frequent updates. We’ll follow up with more data and results from our upcoming changes, sooner rather than later. GLHF, and we’ll see you on the Rift." The same time we released the post we enabled a feature which attempts to get players their primary positions more frequently. So far the results are looking promising with players getting their primary position picks way more frequently. We are also now enabling Autofill in NA to address high MMR match times. Described from the article above: "To address position shortages, we’re adding an autofill mode that can trigger when queue times are too long. If players enter queue with excessive estimated wait times, the matchmaker will potentially assign them a role other than the two they selected." This feature also comes with better queue time estimates. If you're queue time estimate is long, you'll be notified before you enter queue that you are in the autofill category and may not get your primary or secondary. If not, it'll work the way it does now where you'll only be able to get your primary / secondary." Following Taliyah's release and updated stories for several Shurima champions, the Shurima page has been updated with a longer BLOODLINE story featuring Taliyah, Sivir, Nasus, Xerath and more! 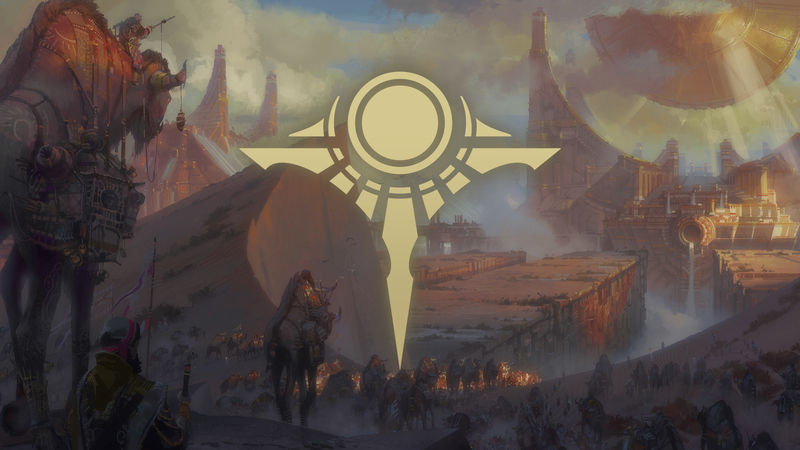 "Taliyah had almost forgotten how much she’d missed the furnace heat of Shurima – the sweat and crush of hundreds of people pushing, cursing, haggling and speaking with such passion and speed that outsiders often thought they were fighting. For the sake of some friendly faces, she left Bel’zhun in the company of a heavily armed caravan of Nerimazeth silk-merchants heading south to Kenethet. She’d endured the rolling motion of the caravan long enough to reach the bone-souks of that notorious city on the northern borders of the Sai before striking out on her own. The caravan master - a whip-thin woman named Shamara, with eyes like polished jet - advised against traveling farther south, but Taliyah told her that her family needed her, and there were no more warnings. Hundreds of people thronged the wide street leading to the broken walls of the city. Aromatic smoke drifted like fog from the bubbling pipes of the old men sitting in doorways like wizened sages. She saw the tribal markings of Barbae, Zagayah and Yesheje, though there were dozens more she didn’t know. Tribesmen who would have sworn enemies back when she’d left Shurima, now walked side by side like brothers in arms. “Please, great lord,” said the water vendor, pressing his back to the wall of the gateway. Buildings planned by master craftsmen were now crooked parodies of their former glory. Walls once fashioned from square-cut granite were built over in timber and crudely shaped blocks. The city’s original outline was still there, but Nasus felt like he was moving through a nightmare, where once familiar surroundings were skewed in new and strange forms, where everything was twisted from its original form in ways designed to unsettle. He heard muttering voices around him, his name spoken in hushed whispers, but he ignored them, finally turning a corner and entering the open plaza at the heart of the city. His clawed hands clenched into fists at the sight of what the citizens of Vekaura had raised in the heart of their rebuilt city. He climbed toward the summit where the sun gleamed on the beaten metal of the disc. As he climbed, he looked beyond Vekaura’s crumbling city walls. An unbroken sea of barren dunes stretched to the horizon on three sides. On the city’s eastern flank, the land steadily rose into the haunches of rugged foothills of stubborn earth, upon which grew hardy desert palms and thick stands of bhanavar trees whose roots plunged hundreds of meters below the sand to find water. Even now, those words still had the power to wound him, cutting deeper than any blade. As a mortal, Renekton was unpredictable; sometimes prone to violence and cruelty, but equally capable of great nobility and courage. The power Ascension granted him had made him mighty, and in the end, it had been Renekton who wrestled the treacherous magus into the Tomb of Emperors and sacrificed himself to save Shurima. Now Xerath and Renekton were free. Azir had somehow conquered death to become one of the Ascended, and by his will was Shurima reborn. The ancient city had risen from its desert sepulcher and cast off the weary dust of its millennial slumber. But if the tales coming out of the desert were true, the Renekton Nasus had known and loved was gone. Now he was little more than a maddened killer that slaughtered without mercy in the name of vengeance. Comets of white blue flame leapt from Xerath’s outstretched arms, arcing like boulders from a war-machine. The first fell to earth in the market, exploding like a falling star. Searing fire detonated from the impact. Burning bodies were hurled into the air like blackened kindling. Fiery winds carried Xerath’s spiteful laughter, an ageless insanity that reveled in the pain of others. Nasus pushed through the terrified crowds, moving steadily eastward, following the spoor of potent blood he now scented. The hierophant had been a fraud, his blood weak and diluted after thousands of years, but the one he now sensed...? They were strong. He could hear the thunder of a heart beating within a mortal breast. This person came from a line of emperors and warrior queens; men and women of towering ambition and strength. It was the blood of a hero. “Your wants are irrelevant,” said Nasus. “Xerath will kill you whether you embrace your destiny or not. He has come here to end the bloodline of Azir once and for all. His anger built as he passed the bodies of men and women cut down by the rampaging warriors – more deaths to add to the tally still to be settled between him and Xerath. Nasus rolled his shoulders to loosen his muscles. The last time he had faced the magus, his brother had been beside him, and a tremor of fear touched him. A shockwave of magical energy exploded outward, spinning people away like leaves in a hurricane. The nearest buildings collapsed as the seismic force shattered their walls. Vekaura’s people fled, trying to find safety in the midst of these brawling gods of ancient days. His hold upon them broken, Xerath’s warriors scattered and ran for the edges of the city. Flames erupted as Xerath called arcane fire from the heart of his being and unleashed it indiscriminately. He slipped the dagger-like shard into his tunic and walked from the smashed sun temple. He surveyed the ruins as a mournful wind sighed, its breath freighted with mutterings of the dead. Be sure to check out the Shurima page for recently updated champion bios and stories! Following the new BLOODLINE story, we also have new podcast that sits down with Ant in Oz, Dinopawz, and Jellbug to talk about what went into the Shurima story event! 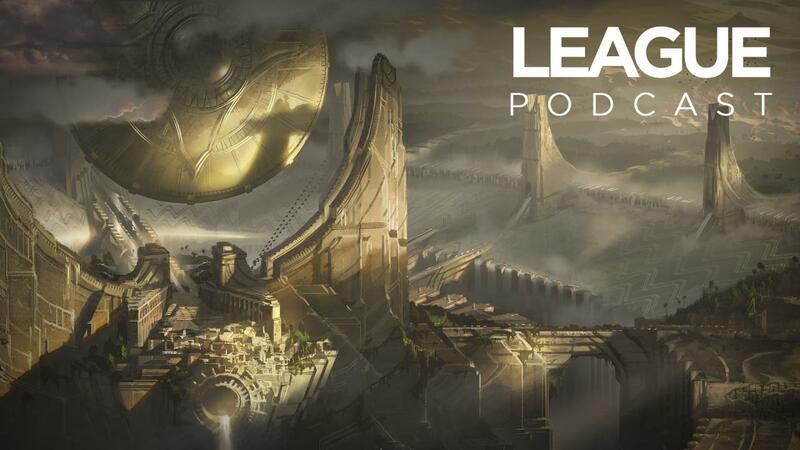 This week, Foundations Lead Anthony “Ant in Oz” Lenee, Senior Writer Graham “Dinopawz” McNeil, and Writer Rayla “Jellbug” Heide share their behind-the-scenes perspective on crafting the Shurima story event. The League Client Update live alpha changelong has been updated with patch .02, including limited Profiles (as seen on PBE) now enabled for testing! This will be headed out to the LCU Alpha later this week! The League client update alpha is live, and our initial wave of players from around the world have been playing games on live servers, submitting feedback, and reporting bugs. As this is only our second Changelog, here's a reminder about them: they are your definitive source for understanding updates during the alpha and are basically patch notes for the client. About every two weeks, we’ll let you know what we’ve done with your feedback and why, as well as share bugs we’ve squashed along the way. 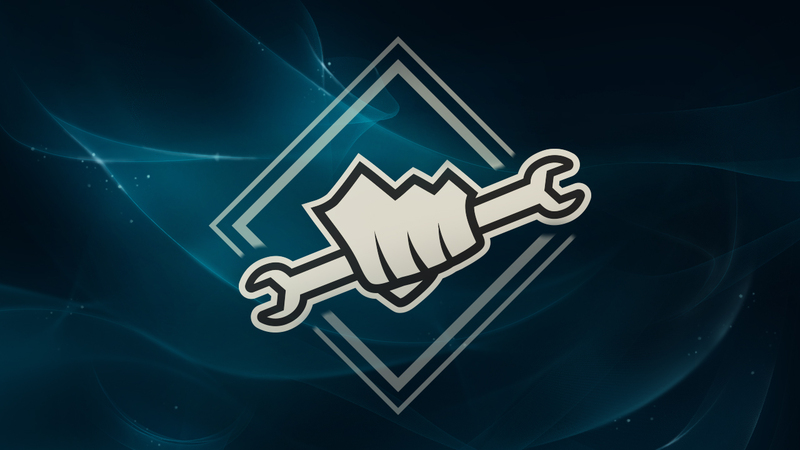 Our current focus area is still the Summoner’s Rift (blind 5v5) and ARAM play loops, but we’re also including a minor update this patch that will unlock some preliminary features for the Profile section of the client, including changing your Summoner icon and an overview of your account. If it looks kind of barebones to you, that’s intended, and we’ll roll out more pieces of it over the coming weeks. Until then, please continue to keep your feedback focused on Summoner's Rift and ARAM. Remember! Your feedback and bug reports are vital to the success of the alpha. Feel free to submit your feedback anytime via the button that’s on bottom of the alpha homepage in the client, and please make sure to take any surveys that pop up. Bugs can also be submitted via the same homepage, or anywhere in the client by clicking on the bug icon at the bottom-right of your friends list. Thanks again for joining us, and we’ll see you on the Rift and frigid bridge. Engage!" For the full details, known issues, and more from this alpha update check out the full changelog! Stay tuned to the LCU website for more updates, sign ups for Alpha, and more! As some of you may recall, champion mastery 6 and 7 were announced to come with a way to get champion shards (which are needed as shards, permanents, or blue essence to level up) for IP. These are headed our way soon in the form of Hextech Mystery Champion Shards, which have been added to the PBE shop for testing late in the 6.11 PBE cycle. Purchasing one of these - using either RP or IP - will grant one random champion shard, which can be turned into blue essence if need be. "Prices we're looking at are ~1700 IP per shard atm. Should be going to PBE today." Can you confirm this will be launching in 6.11 then? I've seen the assets hit the PBE but wasn't up in shop last I checked! Barring last-minute bugs it will"
In a thread inquiring if Shaco's backstab passive floating combat text display could be chant to mimic Miss Fortune's double up, Meddler noted they'll be adding that for 6.12! Let’s talk about Shaco’s passive ! As a shaco player I’ve always find it strange that we cannot differentiate when we hit or not in the back. So I suggest putting a passive like Fiora to show where exactly we can hit to proc the bonus damages (does the passive works on 180° ? because it looks like.). Moreover, the bonus damage could appear like Kindred’s passive or even like MF’s passive. And you what you think about this? Feel free to give your feedback! Ooo, good call on using the MF style floating combat text to show both that Backstab's triggered and how much extra damage it contributed. We'll add that in for the next patch (6.12). I'd imagine that should both help experienced players looking to optimize Backstab usage and newer players who don't yet understand what Backstab works with (a lot of new Shaco players fail to optimize Backstab with the clone or E). Will look at the prospect of an indicator circle as well, less sure about that one though, at least in the short term, given both visual noise it adds and need for some visual effects artist time to make that look good enough." because if hes walking up stealthed it would give him away? Doing a Fiora style indicator has some issues on Shaco because of how often champion facing changes in LoL. Fiora's passive is based off screen direction, so you'll get an indicator constantly pointing up, or left or whatever. Since Backstab's based off champion facing though you'll end up with something that's constantly switching directions. It's a clear way to help people understand what 'behind' means certainly, but I suspect would end up being quite noisy and distracting for low value in game after that." Last up we have SandalwoodGrips interviewing former LCS support BLOODWATER on Sona! Please put your hands together for BloodWater, here for his very first Ask a Champion Main! Known for his scintillating Sona play in the pro scene, the former LCS support player will be here answering your questions about the Maven of the Strings for the next few hours. Let’s get this party started! He’ll be hanging out for the next few hours to answer your Sona questions, so go ahead and ask him anything! How did you get into League of Legends? How long have you been playing? My brother introduced me to League of Legends. Before that, I used to play Dota 1 a lot. I am not sure exactly when I started playing the game, but I believe I have been playing for about four or five years now. Where does your Summoner name come from? When I played World of Warcraft, my character was named Blackwater. Since this name was not available when I tried to use it for League of Legends, I simply used BloodWater instead since it was the closest relation I could think of. What got you hooked on playing Sona? To date, how many games have you played as her? I used to play Sona a lot about two years ago because I felt really in sync with the champion, and her kit fits my playstyle very well. I found it really easy to harass my opponents and win trades in lane, so that’s part of the main reason I played her so much. I also have probably played over thousands of games with that champion . Who is your go-to champion if Sona gets banned? I do not really have a go-to champion. I usually pick depending on my team comp and the enemy team comp, but if I have to blind pick a support it will usually be Braum because I believe he is a versatile champion to blind pick. If you could describe Sona’s playstyle in a sentence, what would it be? Sona's playstyle is very easy to get used to, but it is hard to pull off properly. This is because she best fits a passive-aggressive play-style. Since she’s so vulnerable to crowd control and ganks, it’s very easy to make mistakes. Knowing when and how to go on the offensive is key because one mistake could result in a bad trade or possibly a death. What runes and masteries do you run on her? I run hybrid penetration marks, health seals, flat magic resist glyphs, and flat armor quints. If you find yourself struggling with containing your mana pool, try running a mana regeneration quint or a few mana regeneration glyphs instead. That should help. What is Sona’s core item build? I stick to the old school Sona support build, which is buying Frostfang and Sightstone as soon as possible as well as Boots of Swiftness. After that, I rush Aegis depending on the enemy team's magic damage output, and Eye of the Watchers for additional wards and cooldown reduction. Next I can choose to opt into Mikael's Crucible or Zeke’s depending on whether my ADC needs critical % chance or a cleanse from enemy CC abilities so he can survive. As a last item, you can build Ardent Censor because I believe the attack speed it offers is very valuable late game. Another option is to just build a lot of AP items on Sona instead and hope you can snowball with it. However, I do not use this build pattern because it makes Sona extremely squishy and vulnerable, which good players will know how to abuse. What are Sona’s easiest matchups? What are her toughest? Some of Sona's easiest matchups are Soraka and Janna. Some of the hardest ones are champions with strong CC such as Leona, Thresh, Alistar, or Taric. What is Sona’s main job in lane? What about Teamfights? Sona's main job in laning phase is to make powerful trades with her q and w auras. It is very hard to out trade her and her ADC with those activated. She also provides a lot of pressure because of the high range of her Q. In teamfights, it is important to keep an eye out for the enemy assassins (or the highest threat on the enemy team) and peel for your teammates, or look for the perfect engage if your team is ahead or you need to start out a fight. All of this depends on the current state of the game. If someone is playing Sona for the first time, what is the most important thing to bear in mind? Not to overextend in lane because you are a very vulnerable champion with no escapes, so it's easy to take advantage of that. Be precise with your ultimate and do not over think and hesitate because that will make you miss, which could be very bad for the fight. How do you balance being aggressive in lane while protecting Sona’s tiny health bar? You play behind the minion wave and use your abilities and auto attacks to harass making sure you do not overextend by walking too far in front of the minion wave. How do you set up for a quality Crescendo? Keep an eye out for people who are clumping up or enemy team engages. Sona is strong when engaging because of her flash ult combo, or disengaging because she can ult people who try to dive the backline and peel with her E.
What’s a neat trick about Sona that players may not know? Using the W special chord when engaging in 2v2 fights reduces the target's damage output. Only use the Q special chord when poking/harassing. What’s your favorite Sona skin? Silent Night Sona, and I don't even own it. What’s the best Sona play you have ever pulled off? I have landed a 4 or 5 man ult numerous times in the LCS versus teams such as Curse, CLG, and maybe more (I don't quite remember). What I remember is that I was playing Sona, Zuna was on Tristana, Xmithie on Jarvan jungle, and I landed a 4-5 man ult on all of CLG at dragon. It was summer of 2014 I believe, and by beating CLG in the best of 3 we put them in a relegations match against team Curse. If you want to do an even deeper dive into bot lane you can check out The Art of Support (2nd Edition), a book I recently wrote, which digs into the support role. 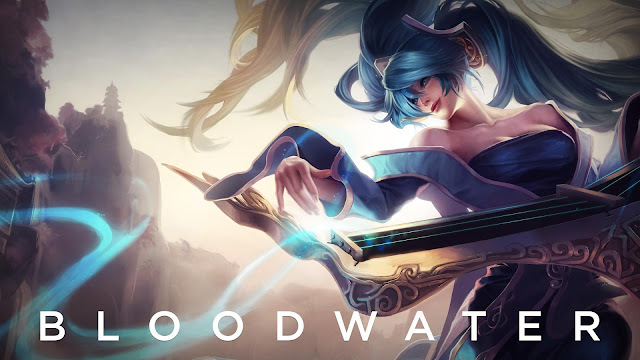 Stick around in the comments and ask BloodWater any questions you have about Sona! Find more Ask a Champion Mains here!"